Traveling in China! 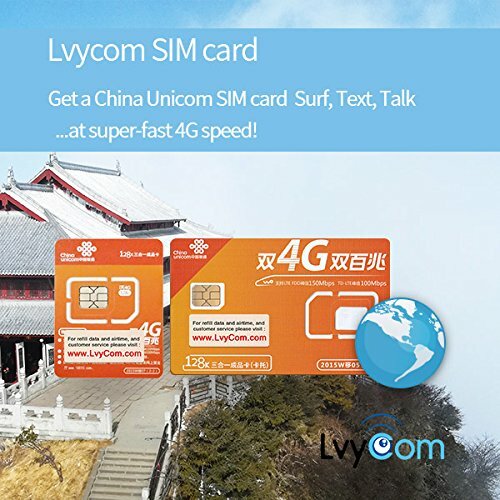 Get a local China Unicom SIM card, and stay connected! 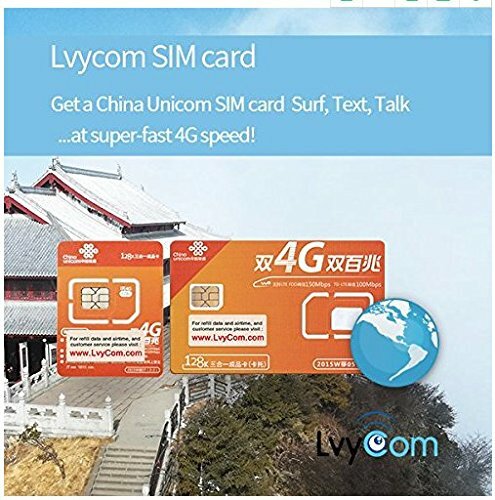 Users can also top-up the SIM cards via Lvycomdotcom or mychinaunicomdotcom. And be aware that data added via other channels except Lvycomdotcom and mychinaunicomdotcom may not be workable and may even suspend the card. Please make sure your smartphone is unlocked, otherwise it won't work. Ask your mobile operator for "unlock" information if you are not sure. Local tariff when using top-up credit: 0.2CNY/Minutes, 0.1CNY/Message, 0.2CNY/MB US or Canada calling rate:0.39CNY/Minute (about 0.06USD/Minute). Validation period can be extended by purchasing KEEP-YOUR-NUMBER service on Lvycomdotcom or mychinaunicomdotcom. Per government regulation, China Unicom requires all SIM card buyers to provide their passport information to complete SIM card registration and activation process. Once your order shipped, you will receive a self-registration instruction mail within 2hours through Amazon messaging center. The activation process won't shorten SIM card validation period, which only starts when you actually use the SIM card! Thank you for your collaboration. Traveling in China! 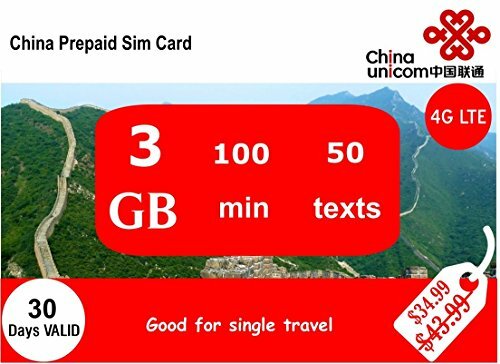 Get a local China Unicom SIM card, and stay connected! Users can also top-up the SIM cards via Lvycomdotcom or mychinaunicomdotcom. And be aware that data added via other channels except Lvycomdotcom and mychinaunicomdotcom may not be workable and may even suspend the card. Please make sure your smartphone is unlocked, otherwise it won't work. Ask your mobile operator for "unlock" information if you are not sure. Local tariff when using top-up credit: 0.2CNY/Minutes, 0.1CNY/Message, 0.2CNY/MB US or Canada calling rate:0.39CNY/Minute (about 0.06USD/Minute). Validation period can be extended by purchasing KEEP-YOUR-NUMBER service on Lvycomdotcom or mychinaunicomdotcom. Per government regulation, China Unicom requires all SIM card buyers to provide their passport information to complete SIM card registration and activation process. Once your order shipped, you will receive a self-registration instruction email within 2hours through Amazon messaging center, pls DO follow that instruction to complete registration first before using! The activation process won't shorten SIM card validation period, which only starts when you actually use the SIM card! Thank you for your collaboration. Traveling in China! 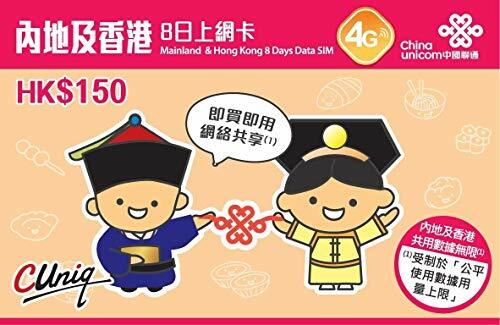 Get a local China Unicom SIM card, and stay connected! 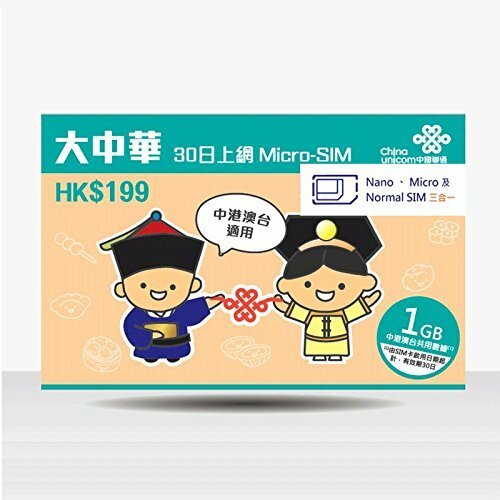 Users can also top-up the SIM cards via mychinaunicomdotcom. And be aware that data added via other channels except Lvycomdotcom and mychinaunicomdotcom may not be workable and may even suspend the card. Please make sure your smartphone is unlocked, otherwise it won't work. Ask your mobile operator for "unlock" information if you are not sure. Local Tariff: 0.2CNY/Minutes, 0.1CNY/Message, 0.2CNY/MB For international calling rate on Lvycomdotcom or mychinaunicomdotcom. Validation period can be extended by purchasing KEEP-YOUR-NUMBER service on Lvycomdotcom or mychinaunicomdotcom. Per government regulation, China Unicom requires all SIM card buyers to provide their passport information to complete SIM card registration and activation process. Once your order shipped, you will receive a self-registration instruction mail within 2hours via Amazon messaging center, please follow that instruction accordingly to activate the SIM card. The activation process won't shorten SIM card validation period, which only starts when you actually use the SIM card! Thank you for your collaboration. Looking for more China Phone Card similar ideas? Try to explore these searches: Frameless Expandable Luggage Set, Gold Dual Heart Ring, and Rich Cherry Wood. Look at latest related video about China Phone Card. Shopwizion.com is the smartest way for online shopping: compare prices of leading online shops for best deals around the web. Don't miss TOP China Phone Card deals, updated daily.